Scott Sibberson: You Have to Read This One! Been reading Blogs, Wikis, Podcasts, and Other Powerful Web Tools for Classrooms, by Will Richardson. I find it to be a "must read" for teachers at all grade levels. 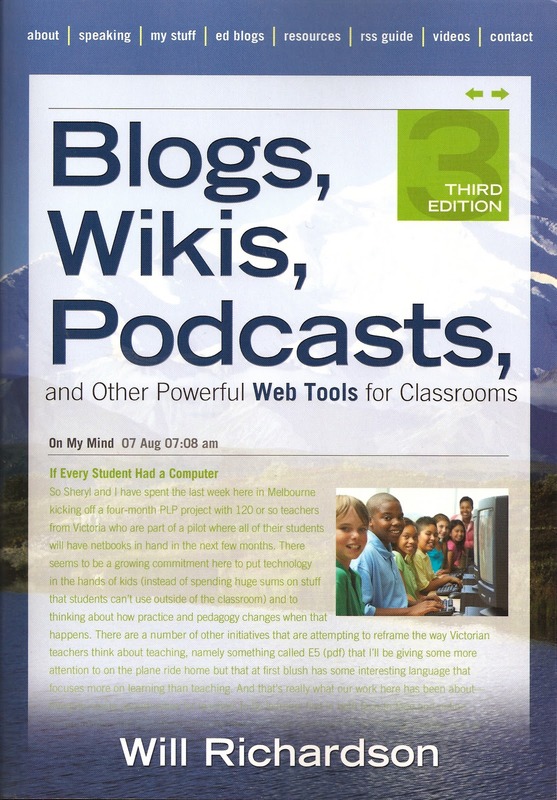 Will Richardson is a master of technology integration and this book is filled with different web tools and suggestions for integrating them into the classroom. He does an excellent job of describing the tool, so the teacher can be a user, and then explains how it can be used with students. He even gives teachers ideas of how to be safe and careful with putting students and their work "out there" for the world to see. This book focuses on tools that are free and easily accessible to teachers. The tools and skills that he writes about include Wikis, Blogs, Podcasts, RSS, Twitter, Screencasting, Flickr, and others. 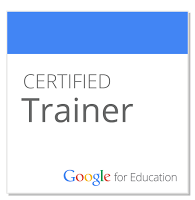 He does a great job of including links to tutorials, screen captures, and step-by-step descriptions of what teachers can do with the tools. His intention is that teachers become users, then integrate the tool into the classroom for the students. These are all web tools that the students should be able to use to share their ideas and work. 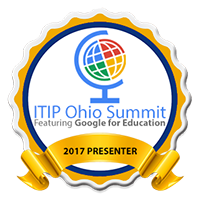 My hope is that teachers will read the book, or at least some chapters, and start to utilize the web tools available to their students. We are working in a time where students can gather much information quickly on the web, and they spend a lot of their spare time on the web, yet we keep them from working and publishing on the web. This book provides some very clear skills and steps needed to help your students become creators of material and not just consumers. Your blog looks great Scott! I am a fan of Richardson but haven't read his book. It is on my list! This might be the perfect book to follow The Digital Writing Workshop. I'm still trying to figure out all I can do with Wikis. Everyone talks about them like there are thousands of things...and I can do about three. I would also like to hear what Will Richardson has to say about internet safety and getting kids work into the world in a safe way. Adding it to my "to read" pile which is honestly getting too long since I started following all of these blogs!! Welcome to the blogging world, it's quite the family event at your house! I appreciate this little nudge to read this book and try things, your description makes it sound user friendly. I teach kdg. and am leary to take the nudge with our littest ones. Thanks for the gentle push and a reference.